 Since 2013, Travel Zone is operating as a tour operator in the Indian subcontinent. Ours is a Siliguri (West Bengal, India) based travel agency involved in organizing and hosting budget and luxury tours across the country. We are offering different travel packages; clients are free to opt any one of them or customize them as per the requirements. With the support of airline ticketing agents/ rail ticketing agents, we can make available tickets to and from anywhere even on urgent basis. We also provide passport & visa services. Travelers can count on us for Foreign Exchange (Inward & Outward). Our services charges are also marginal.